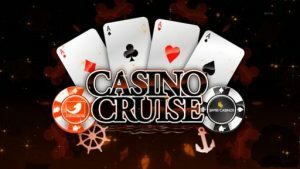 The Casino Cruise site offers players the opportunity to go on a cruise and enter into the world of entertainment, adventure, and exciting games. It is a journey designed to help players find their inspiration and express themselves for the sake of enjoyment and victory. The site offers over 1,000 games including live casino games, no-download mobile pay, and a simple but rewarding VIP program, and a quick and responsive customer service. The range of games offered will satisfy any type of player. They also offer excellent software that makes game playing a pleasant experience for all gamers, no matter what part of the world you live in. The website offers bonuses and promotions for both new and returning players, and no one can resist its charm. Players get a $1,000 plus 100 free spins as a welcome bonus which is available to you as you make first to the fourth deposits. The spins are also divided into five consecutive days, offering you 20 spins every day so that you can take full advantage of the system. The Tuesday pool party bonus moves you closer to being a winner. When you make a deposit on Tuesday, you get a bonus of 25% of your deposit up to $100. The monthly splash bonus offers 2 reload bonus offers where you get a 2 x 50% reload when you make a deposit. The cash point bonus allows you to earn money directly from the casino without wagering while the captain’s treasure offers free spins every day, from 100 people selected at random. With over 1,000 games, there is never a dull moment at Casino Cruise. You can get your hands on any games from different categories like table games, classic slots, video poker, custom games, and jackpot games. You can also check out the collection that offer games based on players’ hobbies and interests like for animal lovers, film, and TV, relaxed vacation, world tours, and science fictions. Try out the captain’s selection of games like the Dracula, stardust, temple of fortune, bullseye and king of slots. If your hands are itching for something fresh, try out the site’s collection of new games like troll hunters, warlords, Tarzan and seven sins. You can also play table games like European roulette and premier blackjack, or video pokers like joker poker and double joker power. Classic slots like roman riches and rock the boat are fun, while live casino offers you the chance to experience immersive roulette and French roulette like never before. The Casino Cruise games operate with HTML5 right inside your browser, making them available and compatible with mobile devices like smartphones like Android, iPhones, Blackberry and many other types of devices. If your phone has a reasonable amount of RAM and ROM, you can be sure that almost all the games on the site including video slots, blackjack and jackpot will run smoothly without any problems. It also works on tablets, and phones regardless of whether you’re using the Android, iOS or Windows OS. The mobile version allows you to deposit money quickly, find the games category, withdraw money and play all types of games in full HD quality. The website offers a quick and responsive customer support to players, no matter where they are in the world. They have been trained to handle all types of issues relating to payments, withdrawals, games selection, live games and other problems. You can also contact them if you have problems with installing programs and if you want to know more about the bonuses and promotions they offer. They respond very quickly so you can relax and enjoy the game.